Social work is not easy, and that’s putting it lightly. Days consist of long hours, ever-shifting levels of stress, and busy schedules that can change at the drop of a hat. It consists of skipping meals, waking up in the middle of the night to tend to an emergency, and exhausting yourself of everything you have to help a client. Being a social worker isn’t easy, but at Catholic Charities of Kansas City-St. Joseph, the greater good of the human person is deemed a worthy cause. With this worthy cause comes a variety of unique and complex stories. The 350 clients we serve each month arrive at our door with deep and interconnecting struggles, tragedies, and missed opportunities. These situations range anywhere from parents struggling to put food on the table and keeping their homes warm in the winter, to homeless veterans contemplating ending their life to stop the pain. To best assist these clients, our social workers use their skills in research, psychology, assessment, and critical thinking to develop a practical plan of action to help lift clients to the dignity of self-reliance. Their role then is to act simultaneously as advocates, resource seekers, educators, and crisis managers, anywhere from a few months to several years. Despite the often-overburdened infrastructure systems available to clients outside of our offices, restricted resources, and limited funds, our social workers manage to help alleviate some of the burden and promote maximum levels of social and personal success in the lives of our clients. Just this past month, 92% of our clients reported their sense of wellbeing improved, and 95% reported the information they received from Catholic Charities of Kansas City-St. Joseph met their immediate need. Statistics like these are what our social workers live for, and the reason March is recognized, and celebrated here in our offices as Social Work Month. 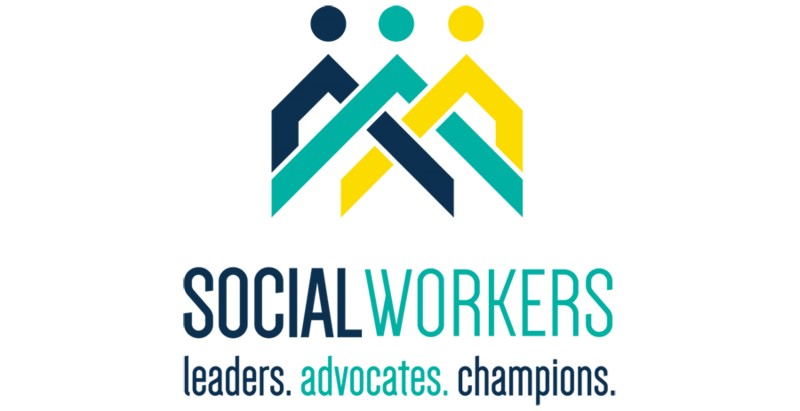 Thank you to all of our social workers and staff who work diligently to ensure our client’s needs are met, and thank you to all the social service agencies, nonprofits, and community collaborative partners who provide much-needed services to our community. If you are interested in partnering with Catholic Charities of Kansas City-St. Joseph through volunteer opportunities, community partnerships, or financial donations, please contact us at (816) 221-4377.